Head over to Amazon and get the Disney Princess – Cinderella Deluxe Jewelry Box for just $11.11 (reg. $24.99). Shipping will be FREE with Amazon Prime or an order of $35 or more. 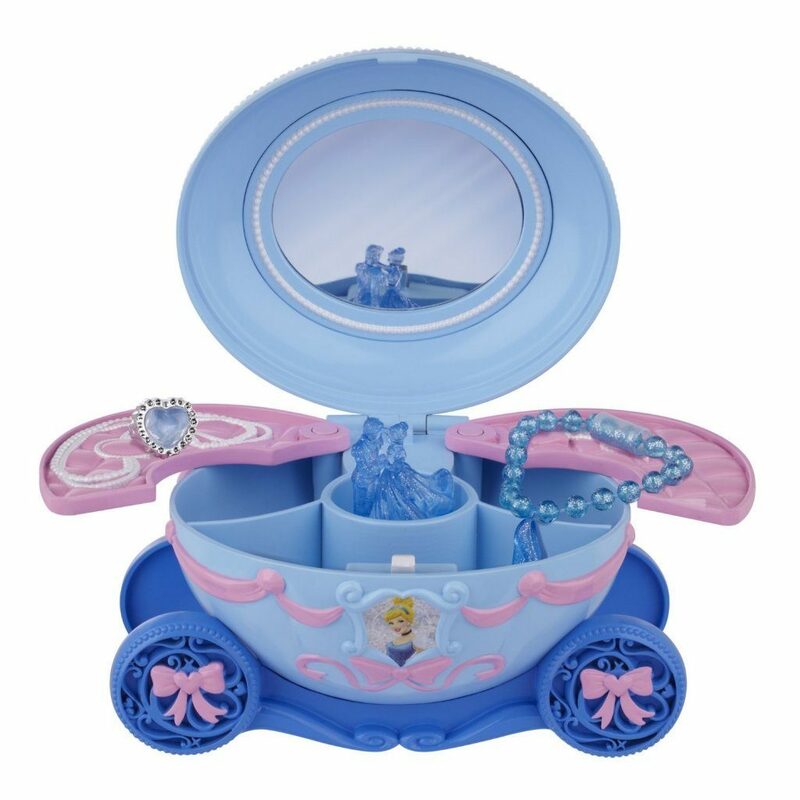 The Cinderella Deluxe Jewelry Box is a perfect keepsake present for the little princess in your life. This enchanted musical jewelry box will be a welcome addition to any royal bedroom. Shaped just like Cinderella’s iconic pumpkin carriage, this jewelry box plays music, and features dancing Prince Charming and Cinderella figurines. Also comes with a magic wand, necklace, charm bracelet, tiara, and ring.